HP Envy 4527 All-in-One. Compatible Ink, Toner & Labels. HP Toner Cashback. HP Envy 4511 All-in-One. HP Envy 4512 All-in-One. HP Envy 4516 All-in-One. HP Envy 4520 All-in-One. HP Envy 4522 All-in-One. Compatible with HP DeskJet 1000 1010 1012 1014 1050 1050A 1050se 1051 1055 1056 1510 1512 1514 2000 2050 2050A 2050se 2054A 2510 2512 2514 2540 2542 2543 2544 2547 2548 2549 3000 3050 3050A 3050se 3050ve 3052A 3054 3054A 3055A 3057A 3059A 3510 Inkjet Printer. Compatible with HP DeskJet 2620 2622 2630 2632 2633 2634 3720 3730 3732 3733 3735 3750 3760 3762 3764 Inkjet Printers. HP ENVY 5010 5020 5030 5032 5055 Inkjet Printers. HP AMP 130 Inkjet Printers. Colour - 4ml. Manufacturers product code: N9J71AE HP62. We are proud to work with HP in the Planet Partners recycling program. Colour Print Yield: Up to 165 pages (Based on ISO testing). Black Print Yield: Up to 200 pages (Based on ISO testing). HP Deskjet 1110. HP Deskjet 2130 All-in-One. HP Deskjet 3630 All-in-One. 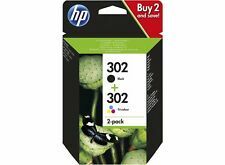 HP 302 Black - 190 Pages. Compatible with HP Deskjet 1000 1010 1012 1014 1050 1050A 1050se 1051 1055 1056 1510 1512 1514 2000 2050 2050A 2050se 2054A 2510 2512 2514 2540 2542 2543 2544 2547 2548 2549 3000 3050 3050A 3050se 3050ve 3052A 3054 3054A 3055A 3057A 3059A 3510 Printer. HP Deskjet 3730. HP Deskjet 3720. Page Yield. Manufacturers product code (OEM): N9J73AE. HP 364 Black ink. HP 364 Cyan, Magenta and Yellow Inks. We are proud to work with HP in the Planet Partners recycling program. HP Preferred Online Supplies Partner. • HP AMP 130 (T8X39B) • HP Deskjet 2620 • HP Deskjet 2622. • HP DeskJet 2630 • HP DeskJet 2632 • HP DeskJet 2633. • HP DeskJet 2634 • HP DeskJet 3720 • HP DeskJet 3730. • HP DeskJet 3732 • HP DeskJet 3733 AIO • HP DeskJet 3735. 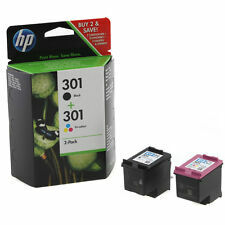 Genuine HP 302 Black & Colour Ink X4D37AE For Officejet 3831 Quick UK Shipping! HP Officejet 3831 All-in-One. Compatible Ink, Toner & Labels. HP Toner Cashback. HP Officejet 3832 All-in-One. HP Officejet 3833. HP Officejet 3834. HP Officejet 3835. HP Officejet 4650 All-in-One. 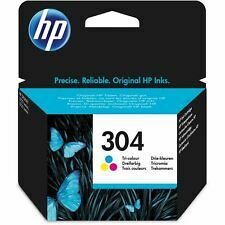 5 out of 5 stars - Genuine HP 302 Black & Colour Ink X4D37AE For Officejet 3831 Quick UK Shipping! 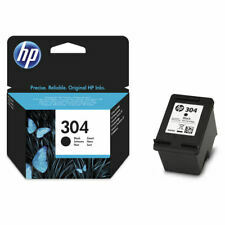 279 product ratings279 product ratings - Genuine HP 302 Black & Colour Ink X4D37AE For Officejet 3831 Quick UK Shipping! If we discover an error in the price of the goods you have ordered we will inform you as soon as possible and give you the option of reconfirming your order at the correct price or cancelling it. No contract for the sale of any product will exist between you and Ink Trader until we dispatch the product(s) ordered. HP Deskjet 3730. HP Deskjet 3720. 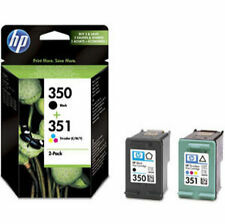 Manufacturers product code (OEM): 3YM92AE HP303 Combo. We are proud to work with HP in the Planet Partners recycling program. Provides consistent results whether full or near empty. HP Preferred Online Supplies Partner. Colour - 4ml. Compatible with HP DeskJet 1000 1010 1012 1014 1050 1050A 1050se 1051 1055 1056 1510 1512 1514 2000 2050 2050A 2050se 2054A 2510 2512 2514 2540 2542 2543 2544 2547 2548 2549 3000 3050 3050A 3050se 3050ve 3052A 3054 3054A 3055A 3057A 3059A 3510 Inkjet Printer. HP Photosmart 5520. Compatible Ink, Toner & Labels. HP Toner Cashback. HP Cashback. HP Deskjet 3070A. HP Deskjet 3520 e-All-in-One. HP Officejet 4610 All-in-One. HP Officejet 4620 e-All-in-One. 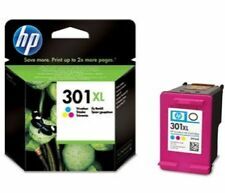 Compatible with HP DeskJet 1110 2130 2132 2133 2134 3630 3632 3633 3634 3636 3637 3638 3639 Inkjet Printers. HP ENVY 4513 4520 4521 4522 4523 4524 4525 4526 4527 4528 Inkjet Printers. 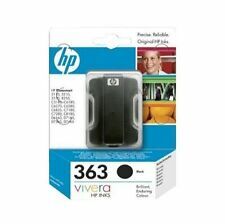 HP OfficeJet 3830 3831 3832 3833 3834 3835 4650 4651 4652 4654 4655 4656 4657 4658 5220 5230 5232 5255 Inkjet Printers. HP ENVY 5640 and HP Officejet 5740. HP ENVY 5540 All-in-One Printer. HP ENVY 5546 All-in-One Printer. HP ENVY 5640 e-All-in-One Printer. HP ENVY 7640 e-All-in-One Printer. For best results use with HP originalColorLok paper. HP Photosmart 5510. HP Photosmart 5510 e-All-in-One. Compatible Ink, Toner & Labels. HP Toner Cashback. HP Cashback. HP Deskjet 3070A. HP Deskjet 3520 e-All-in-One. HP Officejet 4610 All-in-One. HP OfficeJet Pro 6960 All-in-One Printer. HP OfficeJet Pro 6970 All-in-One Printer. Colour : Cyan. Magenta & Yellow. Manufacturers product code (OEM): CH563EE HP301XL 301. We are proud to work with HP in the Planet Partners recycling program. HP Preferred Online Supplies Partner. Suitable for HP envy 4500. Easy to monitor ink levels. HP ENVY 4500 4502 4503 4504 4505 4507 4508 5530 5532 5534 5536 5539 Inkjet Printer. Compatible with HP DeskJet 1000 1010 1012 1014 1050 1050A 1050se 1051 1055 1056 1510 1512 1514 2000 2050 2050A 2050se 2054A 2510 2512 2514 2540 2542 2543 2544 2547 2548 2549 3000 3050 3050A 3050se 3050ve 3052A 3054 3054A 3055A 3057A 3059A 3510 Inkjet Printer. 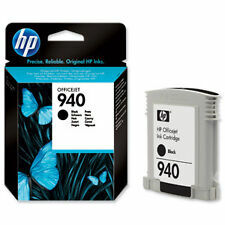 Genuine HP 953 / 953XL Ink Cartridges For Officejet Pro 8210 Fast UK Shipping! Genuine HP 364 XL Photo Combo. HP 364XL Yellow. HP 364XL Cyan. HP 364XL Magenta. 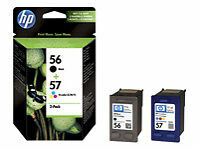 HP Photosmart B8550/C53244/C5380/C63244/C6380/D5460. HP Photosmart e-Station C510a. HP Photosmart B010a/B109a, B109d/f . P/N N9K06AE. Ink Jungle Limited. Compatible with HP DeskJet 2620 2622 2630 2632 2633 2634 3720 3730 3732 3733 3735 3750 3760 3762 3764 Inkjet Printers. HP ENVY 5010 5020 5030 5032 5055 Inkjet Printers. HP Deskjet 3520 e-All-in-One. HP Deskjet 3070A. HP Cashback. HP Toner Cashback. Compatible Ink, Toner & Labels. HP Officejet 4610 All-in-One. HP Officejet 4620 e-All-in-One. HP Officejet 4622 e-All-in-One. HP Deskjet 2632. HP Deskjet 2620. HP Deskjet 2630. HP Deskjet 2633. HP Deskjet 2634. HP Deskjet 3720. HP Deskjet 3730. HP Deskjet 3732. Genuine Canon CLI 526-CMY Ink Cartridge Multipack Cyan Magenta Yellow NEW! Canon Pixma iP4850 Canon Pixma iP4950. Canon Pixma iX6550 Canon Pixma MG5150. Canon Pixma MG5250 Canon Pixma MG6120. Canon Pixma MG5320 Canon Pixma MG5350. Canon Pixma MG6150 Canon Pixma MG6120. Canon Pixma MG6250 Canon Pixma MG8120.